Say goodbye to the Dunkin’ foam cup. Could this be the end of the double cup? Dunkin’ Donuts announced on Wednesday that it will phase out its signature foam coffee cups by 2020. The polystyrene foam would be replaced by a paper “double-walled” cup, already in use in Quincy, and would begin to replace all foam cups in New York City and California this spring before eventually being adopted nationwide. Foam fast-food containers are already banned in several Mass. communities, including Brookline, Cambridge, and Somerville, where paper alternatives have been in place for some time. 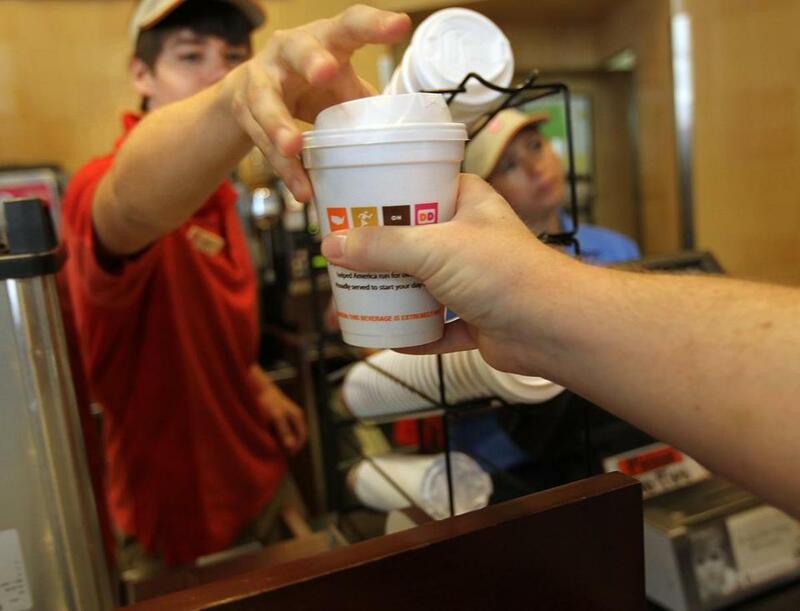 Dunkin’ Donuts says it aims to completely eliminate its use of foam cups worldwide by 2020. Still, the move will surely be controversial in New England, where many iced-coffee fans use the foam cups like disposable koozies. Last summer, a customer complained on a Dunkin’ Donuts Facebook page that an employee used a foam cup to insulate an iced coffee, and was inundated with double-cup fans defending their iced coffee habits. The post quickly racked up more than 2,000 responses. Dunkin’ has been heavily criticized in recent years as more customers and environmental activists have pushed the company to phase out the use of cups made of polystyrene, more commonly known as Styrofoam. In a press release, the ubiquitous coffee chain said the move to paper would remove close to 1 billion foam cups from trash bins every year. Steve Annear of the Globe staff contributed. Christina Prignano can be reached at christina.prignano@globe.com. Follow her on Twitter @cprignano.